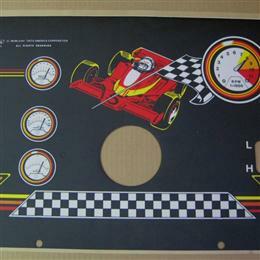 Anthony Pietrak's New Old Stock Arcade Artwork Collection - Collected It! 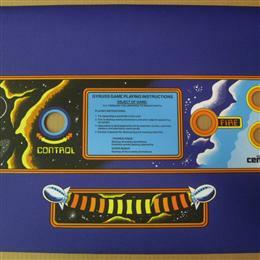 New old stock Atari Asteroids Deluxe Mini (cabaret) control panel overlay. 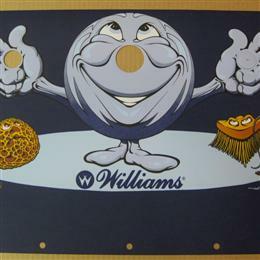 New old Williams Bubbles CPO. 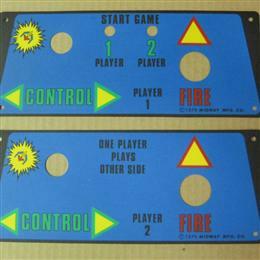 New old stock Sega Carnival control panel overlay. 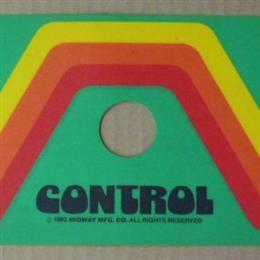 This one is probably not an Atari NOS CPO, but definitely a very early reproduction that does appear to be screen printed. It has a textured surface, not smooth like most Centipede CPOs. 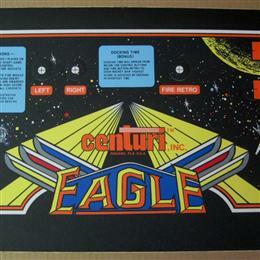 NOS Centuri Eagle mini arcade game control panel overlay. 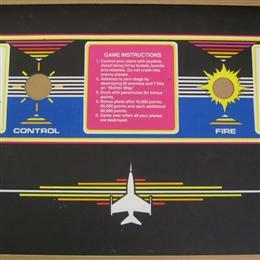 Original, new old stock Bally Midway Galaxian control panel overlay set. 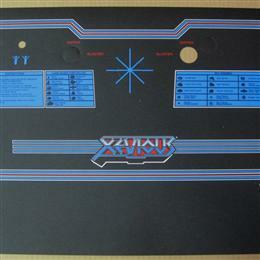 New old stock Centuri Gyruss upright control panel overlay. 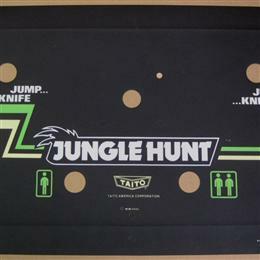 New old stock Taito Jungle Hunt upright control panel overlay. This overlay has a smooth finish, different from most we have seen. 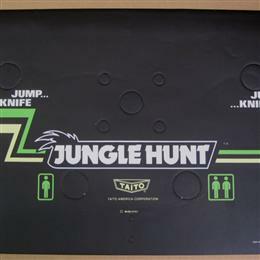 New old stock Taito Jungle Hunt CPO. 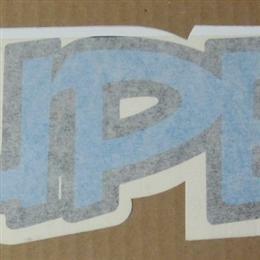 This is a textured version of the CPO. 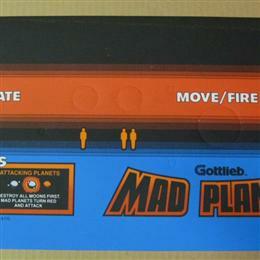 New old stock Gottlieb Mad Planets control panel overlay. 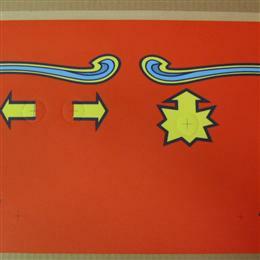 This is an original piece, not a reproduction. 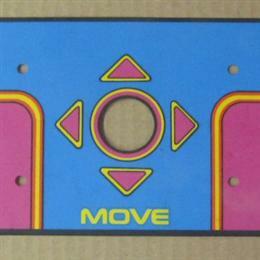 What I believe is a NOS Bally Midway Ms. Pac-Man CPO for an upright. Definitely not a newer item as I picked this up with a load of other NOS artwork years ago. 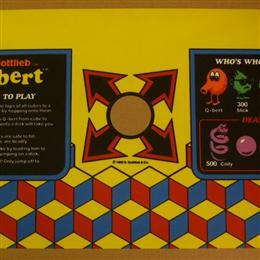 New old stock Gottlieb Q*bert upright control panel overlay. This is not a reproduction, it definitely is NOS. 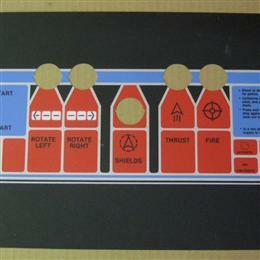 Original NOS Bally Midway Rally-X control panel overlay. 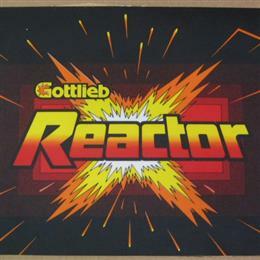 New old stock Gottlieb Reactor marquee/speaker grill overlay. 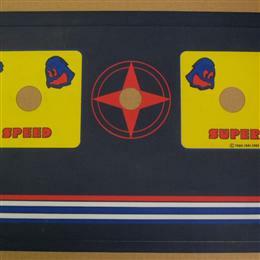 NOS "Super" decal from a Stern Super Bagman arcade game. 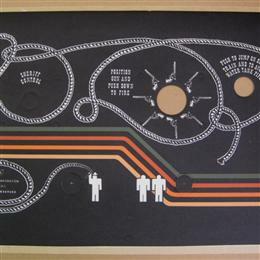 I have the other piece from the set somewhere as well. 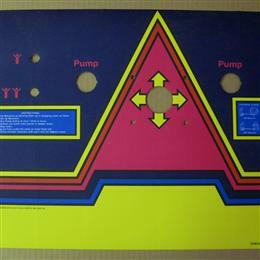 New old stock bally Midway Super Pac-Man control panel overlay. 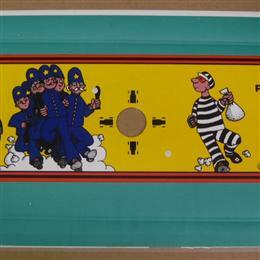 New old stock Thief control panel overlay. 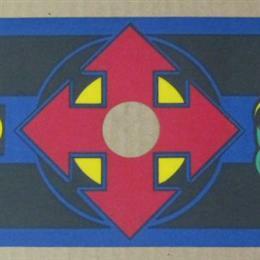 Another NOS Taito CPO I own for a harder to find game. 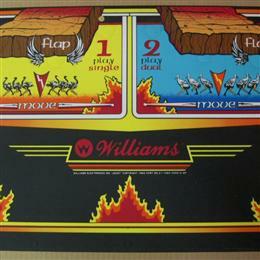 My collection of original, new old stock (NOS) arcade game artwork, such as sideart and control panel overlays. 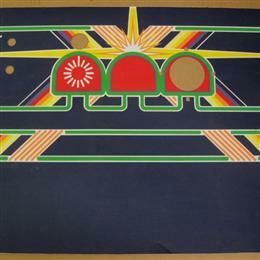 These are original items, not reproduction artwork that I've obtained over the years, most are pretty unique and very hard to find.